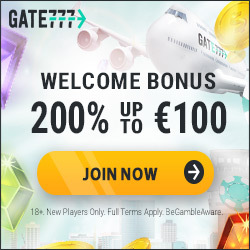 When Guts Casino opened its doors in 2013, it marked many in ways the start of the journey for the Gaming Innovation Group, the iGaming company which is currently listed on the Oslo Stock Exchange and has several hundred employees distributed in offices in Oslo, Stockholm, Copenhagen, Marbella and Malta. Guts was founded by two Norwegians and is perhaps the closest you come to a well-known Norwegian casino. Since its inception, Guts has provided gaming experiences beyond the ordinary, and appears as a product with character and x-factor. Here, you get access to one of the industry's best games, as well as a variety of promotions, activities and rewards . Guts operates with a license in the EU (in Malta) and has established itself as a safe and reliable option. When it comes to the selection of games, we have nothing to complain about when it comes to Guts. Here are several vendors represented and the most popular of these, Net Entertainment, of course has their games in this casino. Other major manufacturers of games such as. Quickfire (Microgaming), NextGen Gaming , Play'n Go , Thunderkick and Betsoft also have their games represented, which means that the selection is huge - we talk hundreds of games! 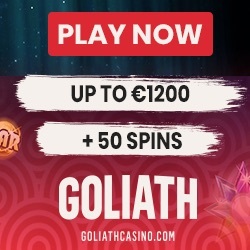 Regarding which games we find, there are of course the full range of casino games, and it involves classic slot machines, video slots, table games such as roulette and blackjack , video poker and a variety of other games. Whatever you may want, you will find it. Customer support is also a focus area at Guts and here, emphasis has been placed on providing the customers with talented and positive employees who can help you with exactly what you need. You can contact the support through email, live chat or phone - and preferably a good old letter if desired!